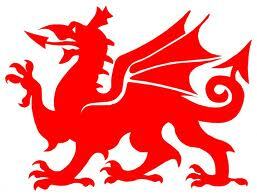 Y Ddraig Goch – The Red Dragon. National symbol of my home country, Wales. In real life, I’m known as Karen. I’m a native of Wales in the UK. I worked as a journalist for many, many years, reporting on everything from crime and government mismanagement to human interest. I’ve not eaten meat for 20 years. Science fantasy is a big turn off. So is anything in the science fiction genre. send me a private message via Twitter @bookertalk. Hey Karen! Have you ever done audiobooks? Who’s asking for a review? 🙂 I’m just looking for people who want to try something different and fun. Thanks so much for the heads up on Reading Ireland month! Definitely going to check it out. Thanks for your review of Schooldays of Jesus. I, too, found it baffling. Incidentally, my only did-not-finish among the Booker winners was also Famished Road, although I do plan to try reading it again. I don’t think I wil give Okri another go. Too many other good books await. Hiya. I’m afraid I’m going to renege on supplying a Guest Post for Feb. Have mulled it over and decided that a 75 year old white woman writing on South African books is not a good idea at this point in time. Local atmosphere has been very fraught for entire month of January, inflamed by the usual old boring uproar over racism, and whatever I say about our local lit scene is bound to be mis-interpreted, so I would prefer not to say anything at all. South Africa is a very complicated country to live in. Be glad you live in Europe. I hope yo9u understand. Please acknowledge this – unfortunately I don’t have yr e-mail address, or would have sent this info via that means. I don’t think anything is going to settle down until we’ve survived the local elections in May. For the time being better to keep one’s head down and keep a very low profile. You had me at Germinal! I’m a high school English teacher and I have my AP students read it every year! For me the first chapters are some of the best in literature! I’m a Booker Prize fan, always follow each year’s nominations/awards, and try to read at least some of the novels. I came across your profile from Kinna’s book blog. I love this blog and will be back from time to time! Hope you can visit African Book Addict too :). I’m following you now – it will be good to get some recommendations for parts of Africa where I’ve yet to find an author. Thanks for that lovely boost to my confidence. Thanks Dan for that insight. I’ll take a look at the site when I have a moment. By the way I agree with your comment in the final paragraph that the label is irrelevant and its the contents that matter. I’m glad I found your blog. My tastes seem to be very similar to yours. I LOVE “Middlemarch,” for example. On another note, I spent just a day or two in Wales, and found it gorgeous! I’d love to spend more time there. So glad you found me Debra. Even more excited to know someone visited Wales. What part were you in exactly? I thought it was only old fuddy-duddies like me who still liked the Raj Quartet. So was glad to see it on your favourite list. It’s on my Desert Island list. But please don’t be too hard on people with e-readers Once you start having eye problems they are a real boon. May I hope that you can review an award-winning historical novel? I published a Korean War novel The Dance of the Spirits on Amazon. The book won the 2014 eLit Awards sponsored by Jenkins Group. The book tells a story of a forbidden love in a forgotten war and received positive reviews from Kirkus Reviews, San Francisco Reviews, Midwest Book Review, and some Amazon readers. I just recently purchased a copy of Middlemarch after realizing I had not read it. I thought I did, back in college, but had one of those searing memory flashes and realized it was Adam Bede we’d read for class. I’m planning on reading it later this summer. So happy to have found your blog through ArmchairBEA. it appear like a few of the remarks apoear like wrirten by brzin dead people? of all of your shared pages like your Facebok page, twitter feed, or linkedin profile? Karen, I just found your site and I greatly look forward to exploring it. Thanks for creating and sharing what is clearly a labor of love. You will appreciate this – I found you today having just received a one ton single volume edition of The Jewel in the Crown and was curious about that first paragraph, Bibighar Gardens specifically. I am keenly aware of my historical ignorance and so I read mostly nonfiction, but for me that only goes so far, especially since the more history I ready the more I want to run screaming off the nearest cliff (explanation: I’m reading about Stalin now). I know one needs novels if the goal is to understand of how we all got to this terrifying but for some of us at least still beautiful, magical now. I look forward to coming back often to figure out who’s next. Thank you and your readers for this site. Just found your blog and was interested to see that Wild Swans is one of your favorite non fiction books. It’s also one of mine and although I read it about ten years ago when I was still living in Canada I’m reminded of passages from time to time. I’m also looking forward to reading what you think of Peter Ackroyd’s book – haven’t read anything by him since First Light, which I found haunting. First of all my deepest apologies Edward for my tardy response. Your comment went into the spam folder for some reason. The Ackroyd book, Camberwell Tales wasn’t great. Not bad but just not all that good – and not anywhere up to the standard of Hawsksmoor. And a thank you to you also Geoff for following me and becoming my 50th follower. I loved your classics list – we have so many books in common on our lists it will be fun to watch your progress.